PLL-CV05-1X is a 50W RoHS compliant 12V 4.2A Constant Voltage LED Lighting power supply with 90-300Vac wide randing input voltage, suitable for LED railway lighting applications including LED train lighting, rolling stock led lighting and metro & mass transit lighting. 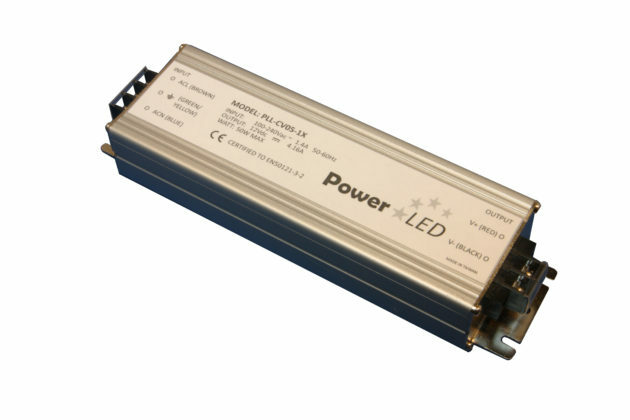 PLL-CV05-1X is a single output 50W constant voltage LED Lighting power supply with 90-300Vac wide ranging input voltage. Standard features include short circuit, over current, over load and over temperature protections. Suitable for LED railway lighting applications including LED train lighting, rolling stock led lighting and metro & mass transit lighting.